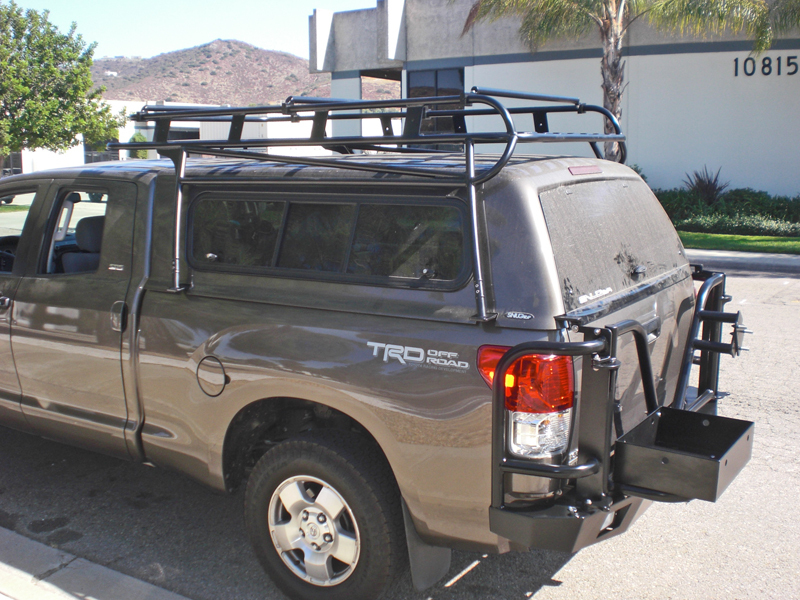 The new Toyota Tundra is a popular platform for campers. 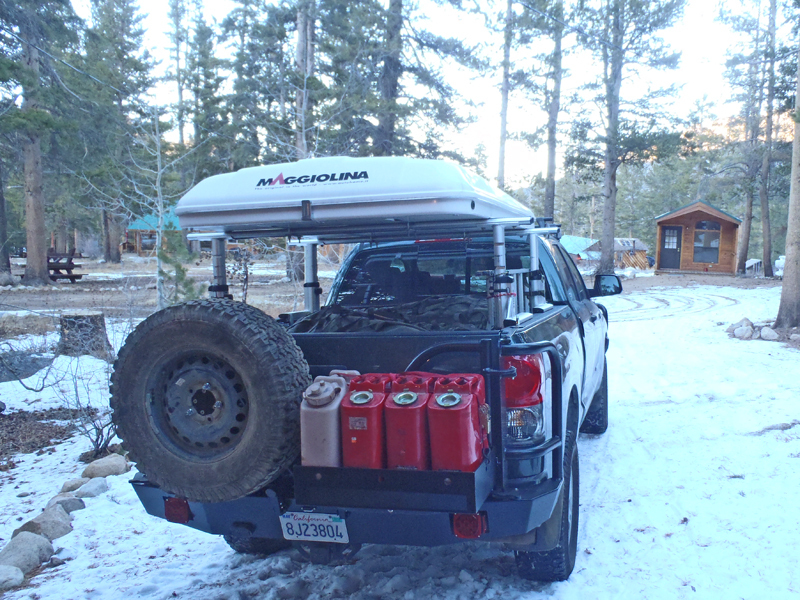 With available four-wheel drive, full-size beds, and decent gas mileage, one can fit a number of quality campers on the back. 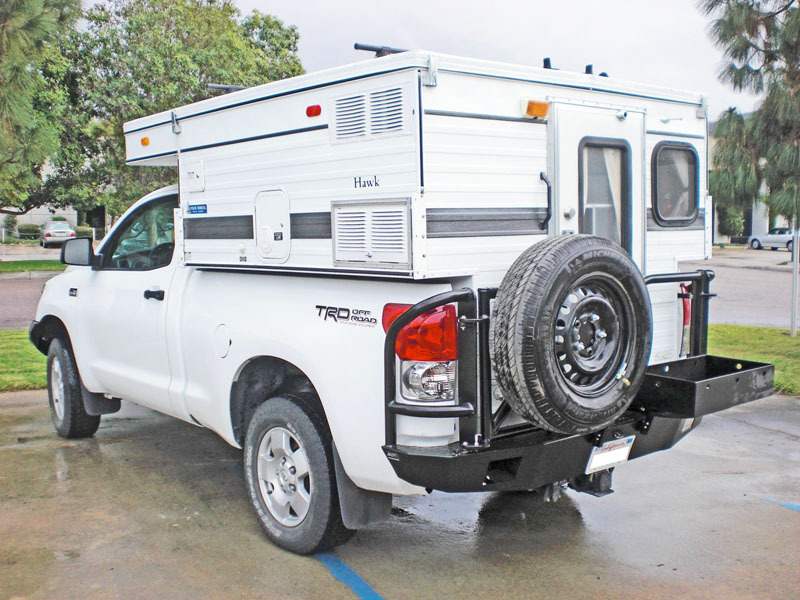 The problem is that storage in campers is at a minimum. 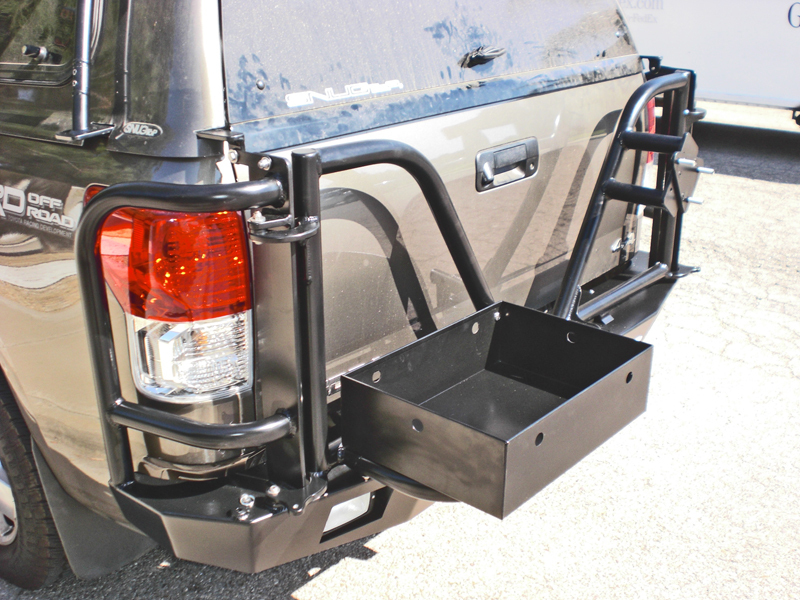 Aluminess has a rear bumper for the Tundra that solves the problem of storage with a dual swing out that has multiple storage solutions to fit your needs. 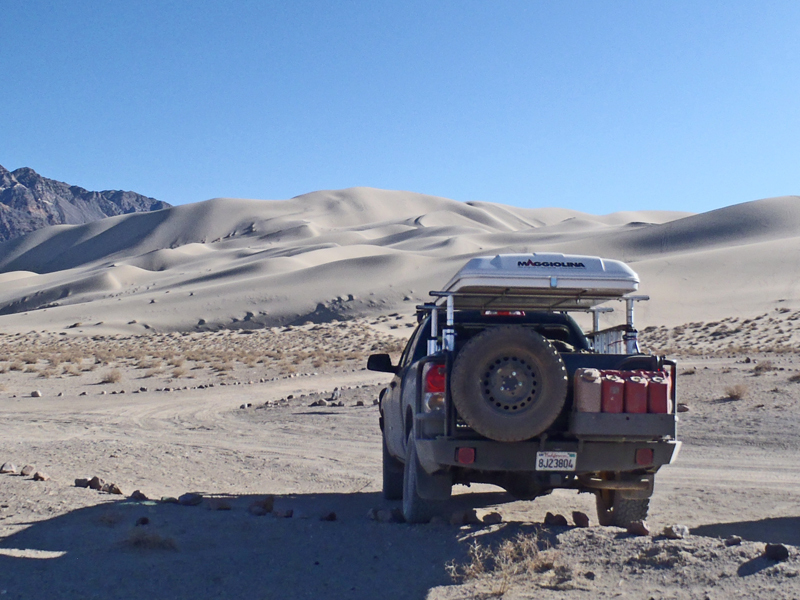 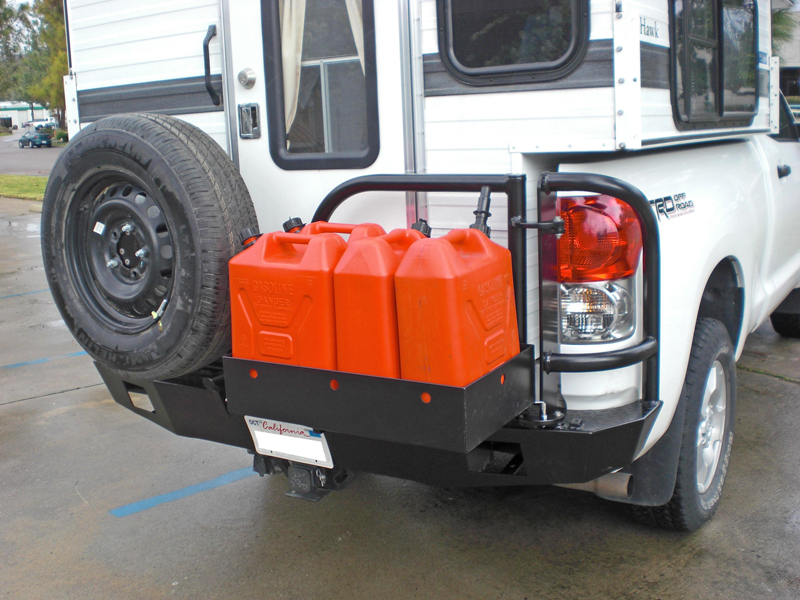 Whether you need to bring extra fuel, a generator, tools, or a variety of other things, our rear bumper can carry it. 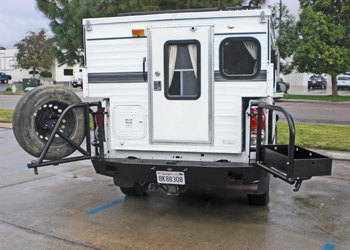 You can even fit a full-size spare on a swing arm to ensure that you can get home safely in the event of a flat.